Recently stated by CEO Ursula Burns (the first African American CEO): “A tidal wave is coming.” Ursula was referring to women – feminism, as a collaborative emergence of equality. Equally shared in history books, referenced in respect, to no longer be subjugated of lesser value. A monolithic tsunami with incalculable mileage is converging. This is a Series; a noble and dignified legacy of women’s accomplishments, not their monstrous endings. All are aware of the current status in many countries where women are stoned, shanghaied into sexual slavery and other grisly worldly heritage. It is time to hear the rich history; gallantry, heroism, tenacity – the dauntless energy offered in dedication, no matter the circumstances. Alexandria, a beautiful city – crown jewel for erudite learned men in 331 B.C., quickly grew into a center of culture and learning in the ancient world. At the heart of Alexandria was a university museum, where a collection of more than half million scrolls were housed. Hypatia’s brilliant mind coupled with a desirous expansion of knowledge was never tethered by her father, rather the opposite. Hypatia stood adjacent to her father Theon, assisting Theon in writing his eleven part commentary on Ptolemy’s Almagest. It is also believed “Book III of Theon’s version of Ptolemy’s Almagest”—the treatise that established the Earth-centric model for the universe that wouldn’t be overturned until the time of Copernicus and Galileo—was the work of Hypatia. Hypatia educated herself at the Neoplatonist school of philosophy and became the salaried director, (a self-made woman in our modern times). She was of the Intellectual school of the 3rd century thinker Plotinus*, which encouraged logic and mathematical study in place of empirical enquiry with strong encouragement of law in place of nature. Later belonging to the mathematic tradition of the Academy of Athens represented by Eudoxus of Cnidu. And, first woman to make substantial contribution to the development of mathematics, astronomy and philosophy, including the motions of the planets, about number theory and conic sections. 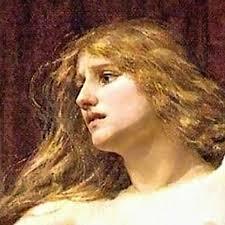 Hypatia has been described as a charismatic teacher and portrayed as “exceedingly beautiful -fair of form and intellectual – articulate in speech, prudent in action and logical, a spirited scholar. She came to symbolize one of admiration and reverence. Corresponding with hosts of scholars from other cities, Synesius being a primary correspondents frequently visiting Hypatia [later became her colleague.] Her public lectures drew crowds (due to popularity) from many parts of the Roman Empire. From the minutia of historical information surviving Hypatia’s work, (per a succession of student’s letters whom gathered in her home or in public forum), it appears that she invented the plane astrolabe, a kind of portable astronomical calculator that would be used until the 19th century. Conjointly, the graduated brass hydrometer and the hydroscope, synergistic with Synesius. Later, he becoming a bishop in the Christian church incorporating Neoplatonic principles in doctrine of the Trinity. Living a celibate life, her brilliant inquisitive mind found fervor in the world and its expansion. The city gave her suitable welcome and accorded her “special respect” by the encyclopedia of Mediterranean world. Hypatia enrobed the scholarly clothing, making appearances around center of the city, moving about freely, navigating her own chariot (contrary to the norm of women’s public persona). Exerting considerable political influence, while expounding in public congregations who listened to the philosophies of Plato and Aristotle. For this, in due time, she was considered by some to be a heretic, a pagan (non-Christian) due to her philosophical acumen. The library of Alexandria invaded by Saracen [Arabs} burning Hypatia’s works. Only a few remaining works through Theon, Hypatia’s father in his own writings, classical works on Euclid’s Elements, is the only known version. Hypatia’s writings survived only through her contemporaries’ works. Such references as letters, excerpt of quotations and of titles from students and Synesius. However no purely philosophical work is known, only work in mathematics and astronomy, based on this small amount of evidence, Many of Synesius letters written to Hypatia are only a few preservation articles showing Hypatia’s scholarly knowledge and respect from students and fellow professors. In the aftermath, many of Hypatia’s students fled to Athens, where the study of mathematics flourished. The Neoplatonic School she headed continued in Alexandria until 642A.D. 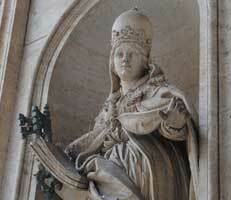 Pope Joan, commonly referred to as Johanna, AKA John Anglicus of Mainz, Germany born in 814. Joan papacy tolerated validation to mythical denial; retaliation, repudiation then sanction and ratification. From a young girlish age, her female gender would be disguised as male for educational dialectic. Her short lived years, albeit brilliant, learned, served and healed the under-privileged and pontiffs. This was a life of her own choosing; her wish to be principally knowledgeable, more than most scholarly men. Enduring savagery beyond measure – beatings, starvation by her father, the Canon of Ingleheim. Her mother a Saxon woman who emphasized the ancient secrets and stories of their ways. Cautioning Joan to never give herself to a man. Furthering the belief that only men had worth in life. Women were chased as a source of sin from birth and not allowed an education. If a woman using herbs healed a king, she became his mistress, otherwise, women were tried for sorcery and burned. The pontificate of John VIII of Mainz (Johannes Anglicus, natione Moguntinus) occupied the papal chair for two years, seven months and four days. A very short reign after Pope Leo IV death in 853, Joan was elected. At her death her successor was Pope Benedict III. Concealed as a boy, Joan chaperon her brother (stated as a dimwitted boy) to school. Joan having a brilliant intellect and determinable quest for knowledge, quickly learned beyond her peers, a school of boys. In due time her disguise took on the name John Anglicus, which afforded Joan opportunities at levels where most men of the times found unattainable. She proved to be gifted in the areas of medicine, herbal remedies. An intrinsic religious fervor and propensity, captivated by St. Catherine. Furthering her scholastic linguist in Greek and Latin in monastic life, founded by English missionaries; Joan/John Anglicus, skillfully defended the Latin position on the worship of images and the filioque. Living as a monk at Fulda for four years, she was granted access to the monastery library and was requested to translate the Greek treaties including books by Hippocrates. Inclusive treaties were, the Mediterranean 4th to 6th century A.D., geographical research, scholarly lectures, science, and circulation of knowledge, all greatly affected by the shifting of power and fragmentation of the political landscape. 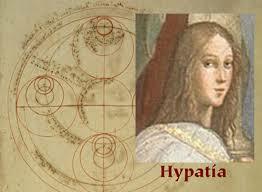 One could stretch these teachings to be of Hypatia herself in science, mathematics and philosophy. For in the East, Greek heritage flourished in the Byzantine Empire, especially in the school of Alexandria of Egypt, the major medical and scientific center. Later traveling to Athens where Joan studious reputation became well acknowledged by many learned men. She lectured at the Trivium in Rome, the teachings of the first three of seven great liberal arts being: grammar (Latin), dialectic (logic-abstract thought) and rhetoric (expression of opinion, speech and worldly endeavors). A classical Greco-Roman education only afforded only to men. Championing her astuteness, Joan gained an apprenticeship under a community doctor Br. Benjamin, furthering her medicinal acumen. Additionally, working in the Leper colonies, a segregated community from the general “living world,” the malady considered to be of sinners – declaring Madalgis, (a woman who lived in stark poverty, starving with her children for her husband had passed), had a simple skin infection. Joan and Br. Benjamin had Madalgis bathe, given clean clothing; her skin healed. Returning to the abbey, the monks recorded the healing as a miracle. Joan’s reputation as a brilliant scholar escalated in Schola Anglorum, a small district located on Vatican hill, visited by kings and merchants, those on ecclesiastical business and pilgrims to the shrines of saints. Joan assisted at mass and attended the sick in the infirmary. Noted as a papal notary she ascended within the Vatican, eventually becoming a cardinal. The story weaves a tawdry calamitous drama during Sergius II pontificate, Rome was ravaged by the Saracen [ancient Islamic or Arabic]. The churches of St. Peter and St. Paul were pillage and desecrated, the basilica plunder taking the holy cross of Constantine. Internal discord permeated Sergius II – blasphemous deception between brethren. The Roman Emperor being antagonized emerges his combative army. Pope Sergius II, in poor health for year’s collapses; once more asking for Joan’s assistance. His death was recorded January 24th 847 and was succeeded by Pope Leo IV. Pope Leo IV as Joan, were interested in bettering the lives of Roman populous than beautifying the churches and profitability. Leo’s greatest accomplishment, was building the wall around Rome (which bears his name) to fend off Saracen attacks. His reforms antagonized the career politicians, who were undoubtedly, were behind his murder just after the “wall that could not be built” was completed. The people of Rome adoration became outrage over Leo’s death, only quieted by the immediate election of Joan, the “little Pope.” Pope John VIII was elected to the Papacy in 853. Although some dispute Pope Leo IV death to be 855, yet records emerge showing a two year gap, the papacy held by Pope John VIII. Her first directives as Pope John VIII (Joan) orders Marcian acqueducts rebuilt. Joan knew exactly how the city infrastructure was to be improved, making it cleaner, safer and stronger; albeit the engineering regarding their construction was lost in history. The standing Cardinals fearful to oppose Joan’s plan to upgrade the infrastructure of the streets, sewers and sanitation, “covertly plotted.” Arsenius sees an opportunity to discredits Joan when she circumvents the bureaucracy’s red tape, funding the aqueduct project. Joan’s daily life was consumed with religious rituals, holidays, masses and feasts. The practice of intinction, which she introduced at Fulda, has been widely discussed and mostly accepted. Forty two canons were passed that reform ecclesiastical education and discipline, earning Joan the respect of her colleagues. Joan’s campaign in educating women about natural methods of contraception angered most Cardinals. Joan knowingly became bolder in openly disregarding their wishes, she did not owe her position to the Cardinals; for she was the “People’s Pope!” And the more she did to improve their lives, the more secure she became in her power. The flooding of Tiber River, she became more courageous for the people; despite personal risk, Joan boated herself to help direct the relief efforts. The Cardinals were outraged when Joan charged the treasury to help feed, clothe, and house the flood innocent. Inspired by Joan’s persistence, many of the rich families granted her needs; embarrassing the selfish – extorting Church politicians in helping more than they wished to. Loved by the Roman people, the optimates and high clergy are scandalized by her embolden behavior, dissent with her progressive thinking, Joan angers Magister Militum Daniel by appointing a Greek priest Bishop, instead of his son. Her death did come during Easter procession reaching Via Sacra – bearing a child. She was taken to a sanctuary to die in peace and was given a modest Papal funeral. 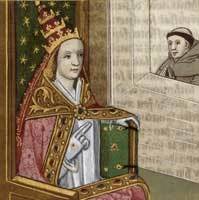 The dispute over Joan’s papacy is to be expected; she fooled all men with her erudite knowledge. There are many salacious tales of gossip given Joan was a woman, successfully disguised as a man. All but two men knew of her clandestine trials. Her confirmed desire was to be educated and be of service, her intent was never to be Pope. 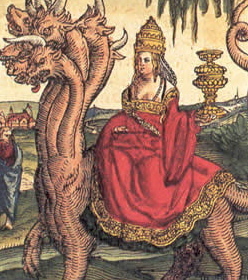 She was succeeded by Pope Benedict III. Most knowledge of Joan was shrouded except the remaining statues as follows: Saint Martin Luther, in his Table Talk, states that he saw a commemorative statue of Pope Joan when visiting Rome in 1510: Pope Urban VIII (1623-1644) commissioned Gian Lorenzo Bernini to design the special baldacchino in “St. Peter’s” basilica. Two of the massive columns are decorated with [eight coat of arms] of the Pope. Seven of them show a woman in childbirth, and the 8th shows the successful delivery of a smiling baby. In Rome, in a public square, there is a stone monument to commemorate the pope who was a woman and gave birth to a child on that very spot. Her stated burial place is inscribed: “Petre pater patrum papissae prodito partum“. http://www.reformation.org/pope-joan.html . There are over 500 chronicled accounts of Pope Johanna’s existence per author Donna Woolfolk Cross who spent seven years in research of the female pontiff. As I researched through staggering pages and websites I found thousands of baroness legacies. Astonished by historical facts of courage, bravery, determined fortitude amidst indomitable spirits, offered in unbridled passion. Why(?) were women unnoted in our educational system? Many have heard of Helen of Troy and her Trojan horse; unfortunately we see the Trojan horse as a computer virus in 2014. Let us regal these lives. We are on the precipices of a modern frontier to acquiesce in global concert. Coming next, Queen Elizabeth I and more. Thank you for sharing these blogs with friends, family and others. this topic, made me personally believe. Its like women and men don’t seem to be interested except it’s something to accomplish with Lady gaga! and clips, this website could definitely be one of the best in its niche. This is really good and you’re a very skilled blogger. I have joined your feed and look forward to seeing more of your magnificent writings. Also, I have shared your web site in my social networks! Well-done… I had NO idea that a woman was ever made pope… what a wonderful revelation! Feel free to let people know about your website and your incredible books, a trilogy.